Click the poster thumbnail for a quick snapshot of 2019 Montana legislators. We often are asked how boards, committees or government bodies can get more people engaged in community issues they are facing. The 2019 North Dakota Legislative session starts on January 3rd. 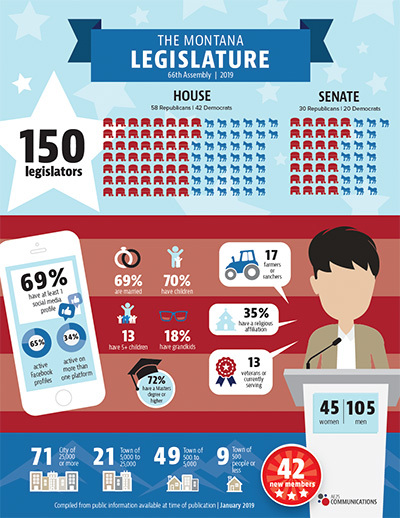 Click the poster thumbnail for a quick snapshot of legislators comprising the 66th assembly.